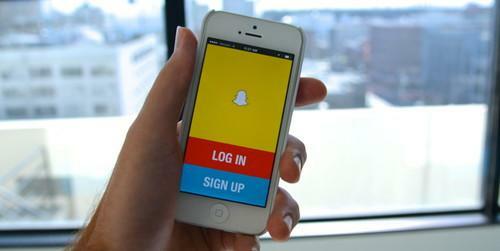 Snapchat's service featuring disappearing messages is known for its popularity among teens. Now it's becoming popular with law enforcement. Snapchat, for the first time, has disclosed the number of requests for user information it has received from governments in the U.S. and in other countries. These requests may come in the form of subpoenas, court orders, search warrants or other legal processes, seeking a variety of user information like usernames, email addresses and phone numbers. Authorities may also seek the content of messages. They have a tight window, though -- Snapchat says it deletes people's messages from its servers after all recipients have viewed them, or 30 days after an unopened message is sent. Governments can also seek logs containing the metadata of messages, which Snapchat retains. For the period between November 1 of last year and this past February, Snapchat received 375 data requests from authorities in the U.S., according to its first transparency report, published online Thursday. The company handed over some kind of user information for 92 percent, or 345 of those requests. Snapchat did not break out how many of those requests sought the content of actual messages. The company did not immediately respond to clarify. Snapchat may have received requests pertaining to issues of national security. The company did not disclose whether it received any requests under the Foreign Intelligence Surveillance Act, due to a six-month reporting delay. Snapchat said it received zero national security letters, which are issued by the FBI. The published report signifies a right of passage for Snapchat, as other major companies like Facebook and Google now routinely disclose the number of government data requests they receive. Snapchat, like its peers, says it discloses certain types of user information to law enforcement only in response to specific legal requests. Going forward, Snapchat said it would begin publishing its reports twice a year, with the next report coming in July. Snapchat said it received a much smaller number of data requests from governments overseas, with 28 total. The highest number came from France at nine, although Snapchat said it complied with none of those.